At Casa Bonita, our team is family – literally. From our husband and wife team to our dedicated staff, we care about your project, and hold ourselves accountable to making your vision a reality. We deliver friendly, professional service for every project we take on, and call upon our respected industry relationships for jobs outside of our immediate scope. Lead contractor, engineer and company president, Omar Martinez, will be your point person for all the scheduling, budgeting and specifications for your remodel. Omar will be at the site every day, ensuring that your job is moving in the right direction, and lending his craftsmanship and handiwork to the job. Omar’s entrepreneurial spirit is a direct byproduct of his upbringing. Born and raised in Oaxaca, Mexico, his parents were both entrepreneurs who taught him the value of hard work, integrity, and focus. Omar earned his degree in engineering from the Instituto de Tecnologia de Oaxaca, which helps support the work he does with Casa Bonita every day. Prior to moving to the United States in 2006, Omar worked as a project manager for a kitchen designer and installer which sparked his passion for residential remodeling. When not on the job, Omar loves to be with his family – playing tennis, spending time in nature, boating, gardening and cheering for Portland’s WHL home team, the Winterhawks. As Vice President, Becka manages the business and makes sure all communications between the company and client are clear and timely. A graduate of the University of Oregon (it’s good to be a Duck!) Becka earned dual degrees in Women’s Studies and Business. After graduation, she spent three years in Oaxaca, teaching English to medical school students and elementary-aged children, and falling in love with Mexico’s beauty and culture. During her time in Mexico, Becka and Omar met in a salsa dance class! They were married in 2005 and moved to Portland in 2006. At that time, Becka became the Assistant Director of the Small Business Legal Clinic at Lewis & Clark Law School. In this position, she was introduced to many small business contacts and programs that helped build up Casa Bonita during its early years. Born and raised in NE Portland, Becka is proud to help improve the community she grew up in – and not just by remodeling houses! 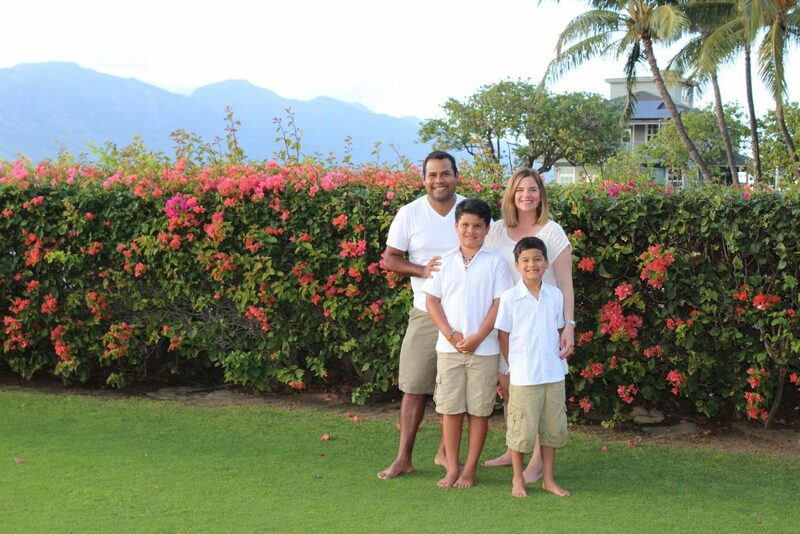 As a family, Becka and Omar prioritize philanthropy for local businesses that are making a positive impact. View the full list of local and regional businesses we support (link to support page). Becka cheers for the Ducks, the Winterhawks, and the Hollywood/Rose City Little League where she is the Events Coordinator and a member of the Board. She spends her leisure time playing tennis, swimming, boating, cooking, and spending time with her family in a cozy cabin on Mt. St. Helens. If we look familiar, that’s because we are an active family living, working, and raising kids among the community we serve. Our business is primarily run on referrals, and we are always happy to connect you with clients who have worked with us on projects similar to yours.